I have very mixed feelings about caramel. On the one hand, it can be absolutely delicious. 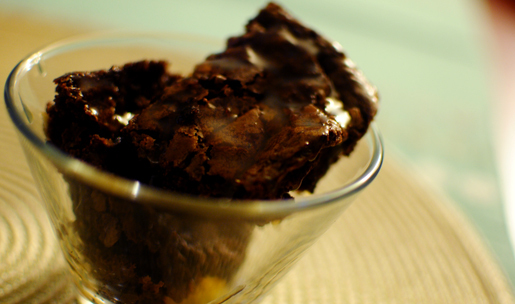 Warm, silky smooth, seeping into brownies and cakes and making them moist and scrumptious. On the other hand, the hardened, tough, chewy caramel found in cheap chocolates makes me want to puke is not so tasty. I've also had bad experiences making caramel in the past. Clumps up, hardens too much, becomes chunky, burns. It's a tough endeavor. But I think I would have to put salted caramel at the top of my list of "things-I-would-pour-into-a-glass-and-take-shots-of." It's actually one of the most delicious things I've ever tasted. Actually. Ever. EVER. The contradiction of flavors, of sweet and salty, light and rich, is incredible on your tastebuds. Just makes you happy from the inside out. It's been a tough couple of days lately, for a number of reasons. Seeing the end of a very long week approach, I knew I had to do something to lighten things up a bit. So I baked, of course. Salted caramel brownies. Warm, delicious, comforting, perfect. Now, I used the same brownie recipe found in my cream cheese swirled brownies post. It has yet to fail me. In this one, though, I omitted the coffee (coffee AND caramel seemed a bit too much), and threw in some chopped walnuts. I will give you the amazingly delicious salted caramel recipe here though. In a medium saucepan, heat sugar on medium heat until it begins to melt, whisking constantly, until sugar turns a bright amber color. This will take about 5 minutes. It's alright if it forms clumps. Whisk in salt. Toss in butter all at once and whisk until blended. Remove saucepan from heat and slowly pour in heavy cream, whisking constantly and vigorously. Whisk until the sauce is smooth. It's alright if there are a few, small clumps. 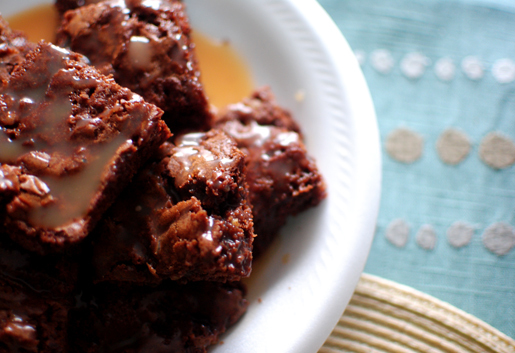 Let caramel sauce cool for 10-15 minutes before using in brownies. Meanwhile, preheat oven to 350 degrees and line and grease a 9x13-inch pan. Prepare brownie batter as directed. Pour half of the prepared brownie batter into the pan and spread evenly. Using a spoon, pour about 1/4 cup of salted caramel evenly over the brownie batter. Pour the remaining brownie batter on top. Pour another 1/4 cup of salted caramel evenly over the top of the brownies. Bake for 25-30 minutes, until set. Let cool completely before serving and cutting. 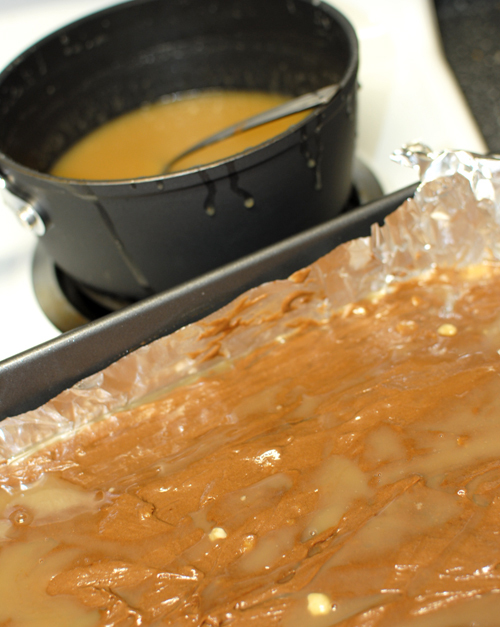 Reheat remaining salted caramel for 10-15 seconds to warm up and pour over the cooled brownies before serving. 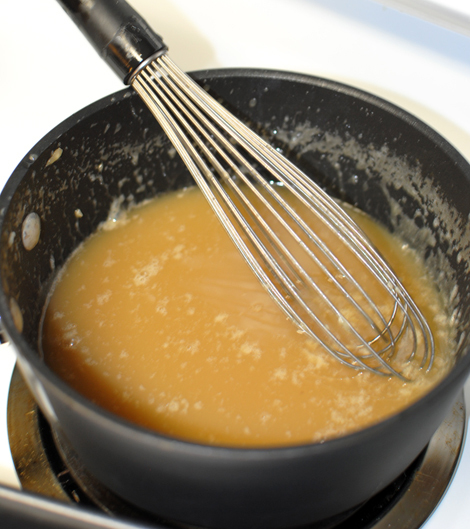 Caramel sauce stays good for up to one month covered at room temperature, three months refrigerated. These were delicious. 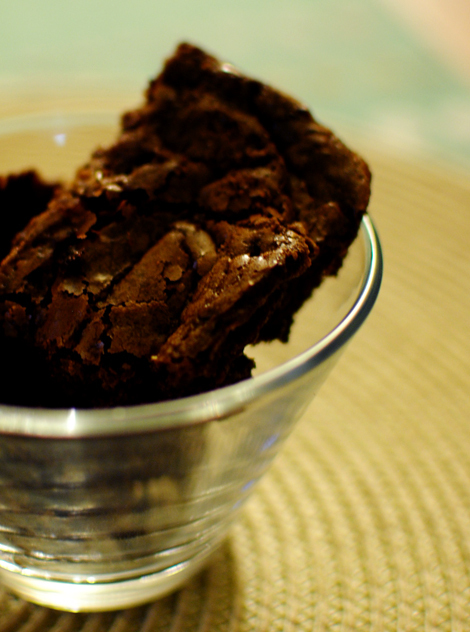 I actually ate an entire brownie, despite my relatively good attempts at low-carbing. And had rationality not hit me, I literally would have taken a ladle to the saucepan of caramel sauce. Not sure I would have regretted it, either. Half of these went to Ali as a belated birthday present, and the other half went to my dear friend Nayaab. I do hope both enjoyed them! You know, sometimes a little sugar is okay to pick you back up, I think. this subject for a while and yours is the best I've discovered so far. However, what about the bottom line? Are you sure about the source? the two have to exactly match.